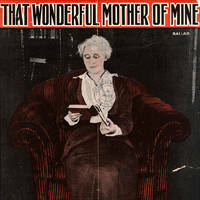 Anna Jarvis of Philadelphia wanted to remember her own mother along with all mothers. Anna�s mother had been very active in working to improve the health of people in her community. Jarvis�s mother also organized a Mother�s Friendship event in her community to bring confederate and union soldiers together for a peaceful celebration. Many other women such as Julia Ward Howe, Elizabeth Cady Stanton and Elizabeth Smith also fought for peace and encouraged mothers to speak out. Anna Jarvis convinced her mother�s church to celebrate Mother�s Day on the anniversary of her mother�s death, and campaigned for a national day honoring mothers. Because of Jarvis�s hard work, Woodrow Wilson chose that date for the national holiday.